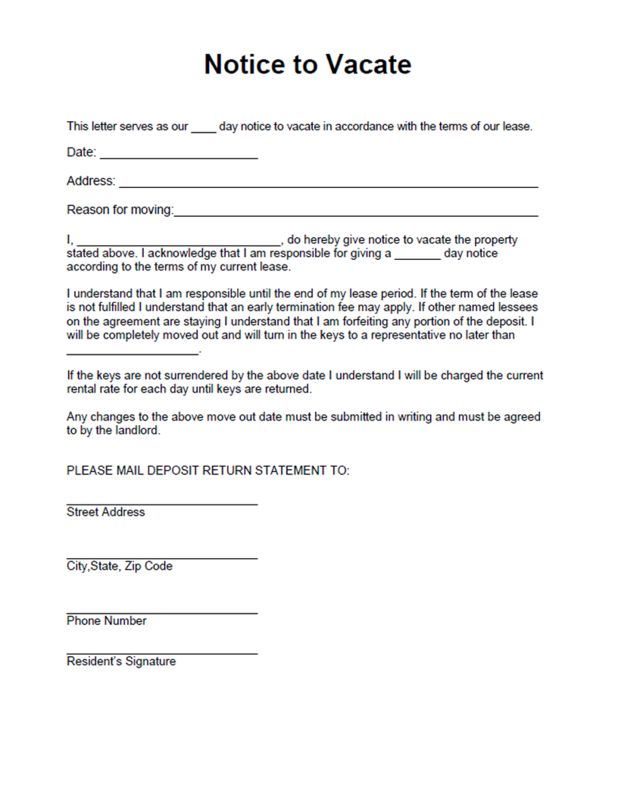 The most important aspect of a notice to vacate a rental will be the time frame (typically a specific number of days). Be CERTAIN that you are giving at least the set number of days notice. There is generally no flexibility here. 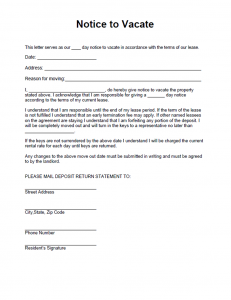 If you The following Notice to Vacate document should cover most needs. There are specific fields to fill in such as your name, the unit that you are renting, reason for moving (usually unnecessary), along with the forwarding information assuming there will a return of a security deposit.